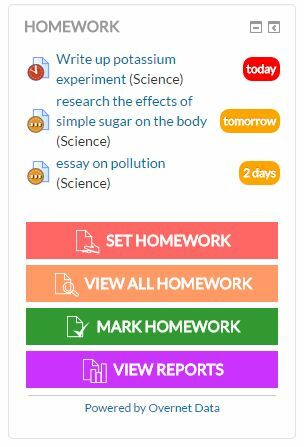 The Moodle Homework Block allows teachers to better plan homework tasks ahead of time, and gives them a central location to upload all supporting documents and media needed for a given task, as well as making it easier for students and parents alike to track and manage homework assignments from a central location. Plan and set homework ahead of time and upload all supporting documents that students will require. See submissions which require marking and which assigments are due. Save time by generating comprehensive homework reports instantly, allowing them to monitor and understand both class and individual student’s progress. View an overview report of grades for the group as a whole, and export this as a XLS or CSV file. Drill down by student to view the submission status, duration, feedback and grade of homework. View homework which has been set for classes in a summary list. Provide evidence of homework setting and feedback for school inspections. View all homework details and supporting documents online. Manually record static homework that needs to be submitted outside of Moodle as completed. View all outstanding assignments with deadline dates – so no more missed submissions! View any recorded grades or feedback from the teacher. To see the Moodle Homework Block in action, you can visit our YouTube channel where you’ll find the following webinar recordings demonstrating some of the capabilities of this plugin – don’t forget to subscribe to our channel for access to the latest videos as we release them! As always, if you have any questions relating to using Moodle or the Moodle Homework Block more effectively at your school, feel free to get in touch.